Bo. torondón, 1/2 block south of La Colonia supermarket, blue building on the left. In the middle of 2000 the church of Tegucigalpa, together with the support of missionaries, we started a series of meetings in the restaurant Villa Real. The meetings were held on Sundays in the morning approx. 60 adults and 15 children. Several growth groups came to the support of the work. As well as the music band of Tegucigalpa. We started with a growth group on Saturday nights and the general meeting on Sunday mornings and the brothers who supported returned to that same day. 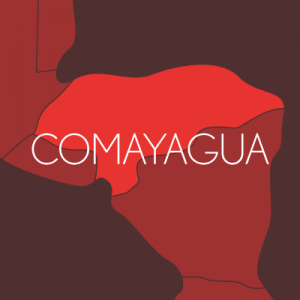 Up to 2001, with the support of the stock market, two full-time employees were taken to serve the work in Comayagua. Moving to live in the city Armando Flores as manager and planter and Dennis Reyes as an evangelist and in charge of the youth group. The church grew and the discipleship system was developed. Baptizing and adding a large number of brothers. Recognizing deacons and local leaders. For the month of October 2006 Armando Flores was recognized as a pastor. Who directs the church up to this moment. We currently meet about 60 adults and 15 children on average with 4 growth groups established in different parts of the city. That develop the multiplication multipliers system. Supporting the brothers who meet in the city of siguatepeque and that will soon be replanted.